I raised this question, because our people have come to the very end of their frustration. Today, in the blazing sun, in the rain when it is rainingand in the night when there is dew, they are protesting with their families. Their wives, their children, their infants are all joining in the protest and it is unbearable. This situation cannot continue. It must be brought to an end and we want the Government to realize and take very early action to bring this situation to an end. Most of these lands were taken over from civilians for security purposes. For instance, civilians were evicted from several thousands of acres of land in Valigamam North in order to protect the Palaly air base from artillery fire almost 25 years ago. But even after the fighting ended in 2009, only a fraction of that has been returned for civilian resettlement, while large tracts of land are still occupied by the military which is engaged in farming and trade including running tourist hotels while the original occupants languish in welfare centres and with host families. In the Vanni too, still several thousands of acres of land are occupied by security forces. Although some lands were released in Keppapulavu recently by the Air Force, more lands are still occupied by the Army. The people have been staging agitations in front of these lands urging the Government to let them re-occupy their land. This was a promise given to the people by President Maithripala Sirisena before the Presidential Election in January, 2015. People have patiently waited for over two years and now are justifiably demanding that the Government keep to its promise and release these lands. In fact with regard to this matter I have written to the President, His Excellency Maithripala Sirisena on the 3rd of March. That pertained really to the land in Valikamam North in the Jaffna District and the land in Kepapulavu in the Mulaitivu District. I will not read out this letter, but I table* it, and may I request that you kindly direct that this letter be included at the end of my speech. * කථාව අවසානයේ පළකර ඇත. * Produced at end of speech. I will now Sir, make some comments on this question of lands in the Northern Province and the attitude of the civilian population to the question of these lands that we see through the various protests and demonstrations that are going on continuously for several weeks and in several places for several days.The people are protesting because they want to return to their lands, they want to live on their lands and they want to engage in farming activity on their lands. These demonstrations and protests have been held in support of the people who are protesting in the Northern Province by persons living in other parts of the country, in other places. In fact, some people including Buddhist monks have gone and joined the people protesting in the Northern Province and they have expressed their disapproval to this land being continuously held by the armed forces. Demonstrations have been held for instance in the KattankudyMosque in the Batticaloa District by persons who have been demanding that these lands be released to the persons in the North who are entitled to such lands. Demonstrations have been held in other parts of the country in support of these demands. This clearly shows that the people are of the view that the demand made by the people in the Northern Province is a just demand and that these lands must be returned to the people to whom these lands are due. Sinhalese people and Muslim people have been taking part in protests in support of this demand for the return of the lands by the people in the Northern Province. I wish to thank the people, particularly the people from outside the Northern Province, the Sinhalese people and the Muslim people who have also been staging protests in support of this very legitimate demand. Sir, I want to pose a question as to whether such a situation can prevail in the Southern part of this country. Can the lands of the civilian population be held by the armed forces or by the Government in this way? Will it be tolerated? Will the other political forces permit that to happen? Will they not intervene and ensure that the lands are returned to the people if such lands were held by the armed forces or the Government in the South? What does this demonstrate? It clearly demonstrates that the Tamil people lack power and authority in their hands to be able to take action in regard to these matters. That is why, Sir, the people are inflicting pain on themselves by fasting, by sitting in the open by day and night in the blazing sun and without being deterred by the dew or the rain with their families, with their children and even infants. They are protesting, they are demonstrating and inflicting pain upon themselves because they want the world to realize the injustice that is being done to them. This situation, Sir, cannot continue. It must come to an end. Continued occupation of these lands owned or possessed by civilian population before they were dispossessed in a situation of war, despite the war having come to an end several years ago, is illegal and there is a clear denial of the legal entitlements of these people to these lands. It is a gross violation of their fundamental and human rights. Army may remain in certain limited extents of land which are clearly identified on the grounds of national security, but they certainly cannot use these lands for cultivation, to grow vegetables, fruits, other crops, run luxury hotels and restaurants, engage in commercial activities on these lands or use them for their leisure, for golf courses or for their residence. That would be a blatant violation of the fundamental and human rights of these people and I do not think, Sir, that situation can continue. This is what was stated even in the UN Human Rights Council Resolution adopted in October, 2015, one and a half years ago. They urged the return of land to enable the civilian life to return to normality. We are sorry to say that has not happened. Might I read, Sir, from what the UN High Commissioner for Human Rights said in the statement he made in February, 2017 at the UN Human Rights Council. I refer to the paragraph Nos. 48 and 49 of the statement of the UN High Commissioner for Human Rights. Even the High Commissioner for Human Rights, Sir, in the statement he made last month at the Human Rights Council, has referred to the problems that arise as a result of the military-holding land to an extent totally unwarranted and to the activities of the military resulting in the people not being able to return to their lands and people not being resettled on their lands. So, this is a matter that even the High Commissioner for Human Rights has thought it fit to refer to in his statement. Sir, the Minister, the Hon. Mangala Samaraweera, in the statement he made at the Human Rights Council on the 28th of February, 2017, has also referred to this matter. He says that in regard to State lands, 5,519.98 acres and 1,383.51 acres, totaling to 6,903.49 acres have been released. In regard to private lands, he says that 2,090.03 acres and 30.54 acres, totaling to 2,120.57 acres have been released. I see a contradiction between the figures given by the High Commissioner for Human Rights and the figures given by the Minister, the Hon. Mangala Samaraweera. The High Commissioner for Human Rights has apparently been informed that 9,288 acres of State land have been returned. But, the Minister of Foreign Affairs, the Hon. Mangala Samaraweera’s statement goes on the basis that only 6,903.49 acres have been released; a difference of nearly 3,000 acres. In regard to private land, there is again a discrepancy. According to the High Commissioner for Human Rights, 2,625 acres have been released. But, according to the Hon. MangalaSamaraweera, Minister of Foreign Affairs, only 2,120.57 acres have been released. This discrepancy, Sir, and contradictions of this nature can only be addressed when there are plans in regard to both public land and private land under the control of the military for their release, with their proper extents being accurately identified and with clear benchmarks and timelines that are presented to the public and when with the cooperation of the public, this activity is pursued. So, I will submit, Sir, that there is a discrepancy, a contradiction, between what the Hon. Foreign Minister says and what has been stated by the High Commissioner for Human Rights in the course of his statement. Now, I have done some work on this matter. I have inquired from people who are knowledgeable, who can give accurate information and the information I want to place on record now is something which cannot be contradicted. In the Jaffna District, in Valikamam North, 4,500 acres of private land are yet to be released, largely in Tellippalai area. In other areas in Jaffna District, 750 acres of private land are yet to be released; 5,250 acres of private land are yet to be released in the Jaffna District, all of which is private land. In Mullaitivu, Sir, 1,080 acres of state land have yet to be released; in Maritimepattu, 166.25 acres; in Puthukudiyiruppu, 371 acres; in Odduchudan 108 acres; in Thunukkai, 425 acres where some part of it is forest; in Manthai East, 10 acres. In all, in Mullaitivu District, 1,080 acres of state land from which people were dispossessed have yet to be returned to the people. Beyond that, in Mulliativu District, 773 acres of private land are yet to be released. In Maritimepattu, 708 acres; in Odduchudan, 45 acres; in Manthai East, 20 acres. That is private land and state land in Mullaitivu. Beyond that, the navy – the figures I gave early are lands in the occupation of the army- holds 404 acres of private land in the Maritimepattu Divisional Secretary’s Division in Vattuvakal; police holds 22.5 acres of private land in Maritimepattu, Odduchudan and Thunukkai. Those are the figures of the state land and private land held by the army, the navy and the police in the Mullaitivu District. In the Kilinochchi District, Sir, 400 acres of land are yet to be released, both state land and private land, in Kandavalai, 163 acres; in Poonakary, 101 acres; in Karachchi 79 land acres and in Palai, 71 acres. I have given you the extents of state land and private land that are being unjustifiably held by the army, the navy and the police in Jaffna District, in Mullaitivu District and in Kilinochchi District. Beyond that, there are lands that are being held by the armed forces in Mannar and Vavuniya. Those figures are available. So, you can see from the figures that I have given you, Sir, that there are largeamounts of lands, private lands owned by people for generations and centuries on deeds and State lands alienated to the people under the Land Development Ordinance; on land development permits that are being held by the armed forces, the Army and the Navy and the Police, in all these districts in the Northern Province. It is eight years since the war came to an end, and as I have stated in my Motion earlier, there can be no justification whatever for the non-return of these lands. These lands must be returned to the rightful owners. That is their fundamental right; that is their human right. You are violating their fundamental right and their human right. Then, holding on to these lands, you are carrying on business on these lands; you are carrying on farming on these lands; you are living on these lands. Lands are being used for your leisure while the people who owned those lands are living in welfare centres or with host families. How can you justify this? Is it acceptable? It is certainly not acceptable, Sir, and this must come to an end. 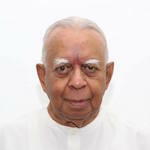 I am raising this question in Parliament today because in regard totwo particular matters, Valikamam North in Jaffna and Keppapalavu in Mullaitivu, I have written to the President and I am thankful to the President – when the lands in Keppapulavu were not released by the air force, and the lands in Puthudukudiyiruppu were not released by the army, and in regard to the Kilinochchi MahaVidyalaya land- when I met him with two of my Colleagues, Mr. M.A. Sumanthiran and Mr. Selvam Adaikkalanathan, the President was immediately willing to act, and in our presence, telephoned both the Army Commander and the Air Force Commander and directed that those lands be released in a day or two which had been done, and I am thankful to him for that. The people of those areas are thankful that those actions have been taken. But, I want the Government to formulate a policy in regard to land which has not been released in the Northern Province in all the districts, in Jaffna, Mullaitivu and Kilinochchi. I have given the figures and the figures are correct. In Mannar and Vavuniya, there must be a plan; there must be accurate information made available to the public in regard to the extent of land, the location of the land and the plan must state when the land will be released. This is not a matter in regard of which there can be any further delay. This matter was referred to in the UN Human Rights Council Resolution passed in 2015, the matter has been referred to by the High Commissioner for Human Rights in the statement he has made now in 2017, one-and-a-half years later. There is a contradiction between the figures given by the Foreign Minister, the Hon. Mangala Samaraweera, and the High Commissioner for Human Rights. Therefore, Sir, the position seems uncertain; the position seems confused. This situation cannot continue and these lands must be released. We cannot wait for another further two years. The Sri Lankan Government has publicly announced that they are going to make a request to the UN Human Rights Council that they be granted further time to implement the Resolution adopted in 2015. Whether they will be given time or not, I do not know, but our people certainly cannot wait; our people cannot languish in welfare centres and live with host families at their mercy. They must get back to their own lands; they must be able to reside on their lands; they must be able to rebuild their houses on their lands and they must be able to carry on farming activities in their lands. I raised this question Sir, because our people have come to the very end of their frustration. Today, in the blazing sun, in the rain when it is rainingand in the night when there is dew, they are protesting with their families. Their wives, their children, their infants are all joining in the protest and it is unbearable. This situation cannot continue. It must be brought to an end and we want the Government to realize and take very early action to bring this situation to an end. I thank you, Sir.